A number of feedback updates that make the product more flexible and customizable. The ability to trigger surveys on deal, ticket, and company properties, not just contact properties. Enhanced customization across surveys. You can now fully customize the from name, from address, subject line, and greeting across your surveys. 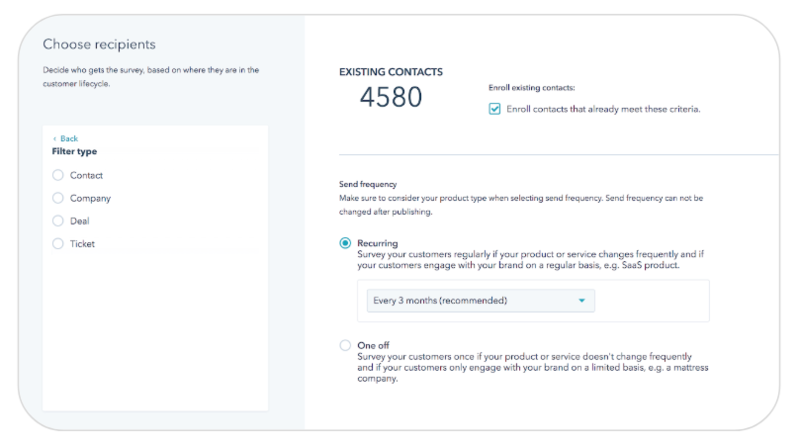 With today’s update to support triggering surveys across deal, ticket, and company properties, you can now collect customer feedback after your prospects complete the sales process, onboarding, and any meaningful touchpoint customers have with your business. You can also now deploy one-off NPS surveys to collect feedback on a recurring or a one-off basis from your customers. 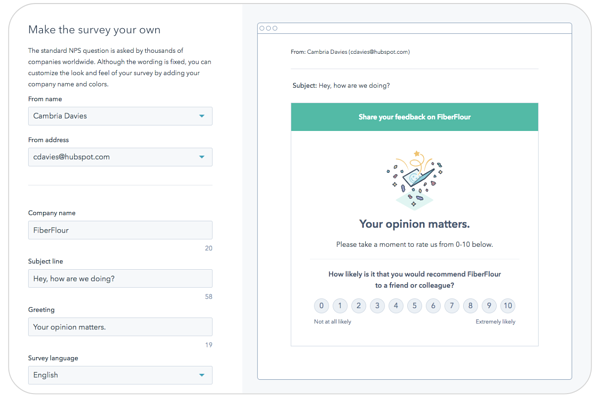 Finally, with customizable from names, from addresses, subject lines, and greetings, you can personalize your feedback to improve response rates across your surveys. This update is now live and available to all Service Hub Professional users.